Los Angeles Dodgers outfielder Yasiel Puig added to his list of impressive feats when he went from likely to miss the National League Division Series to reinstated from the 15-day disabled list within a few days. Puig, who battled hamstring injuries throughout the season, missed 34 games before returning Oct. 3. He started in right field that same day, and entered the Dodgers’ regular-season finale off the bench. In neither game was Puig forced to break out into a dead sprint, which led to questions as to whether or not he’s truly 100 percent healthy. 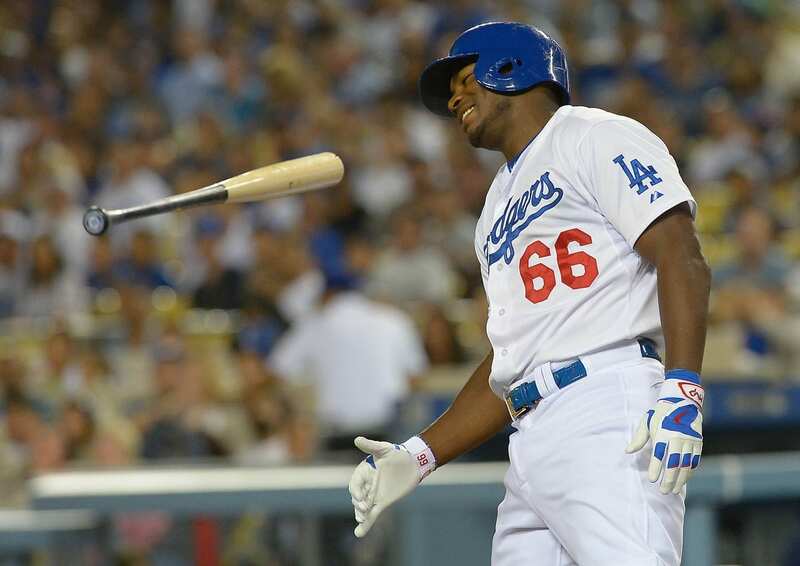 With the Dodgers needing to soon set their 25-man NLDS roster, Puig remains somewhat of a question mark. He’s undeniably among the club’s more important players, and is capable of changing a game with his bat and arm. But that’s when he’s healthy. Puig was among the players to face Brett Anderson, Juan Nicasio and Joel Peralta in simulated game action at Dodger Stadium on Tuesday. 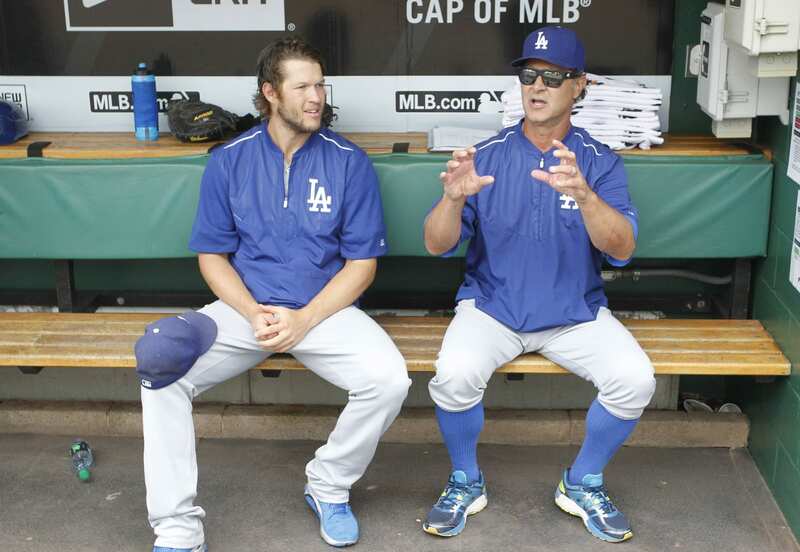 “I didn’t get to see [simulated game work] because I was doing some things inside,” Dodgers manager Don Mattingly said. “He looks like a guy who hasn’t played in a while and a little bit rusty. But that doesn’t mean anything. You never know what’s going to happen at this time of year.” Puig was sent to rehab at the club’s Spring Training facility in Arizona where he played in instructional league games. 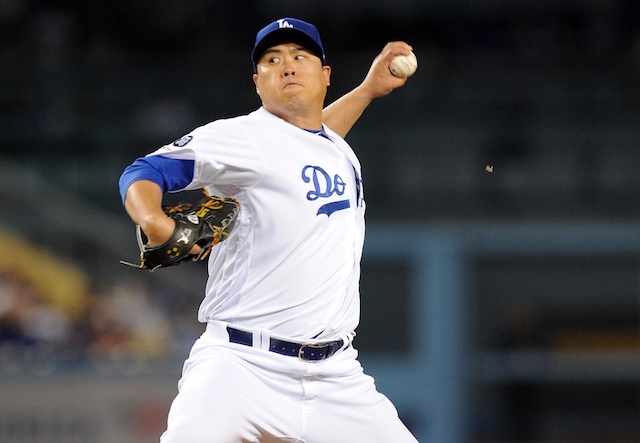 He went 1-for-5 with one strikeout after returning to the Dodgers. Puig’s case to make the postseason roster is aided with Scott Van Slyke continuing to battle a wrist injury. Van Slyke last played Sept. 29 and he hit in the batting cage on Tuesday, though to little success. 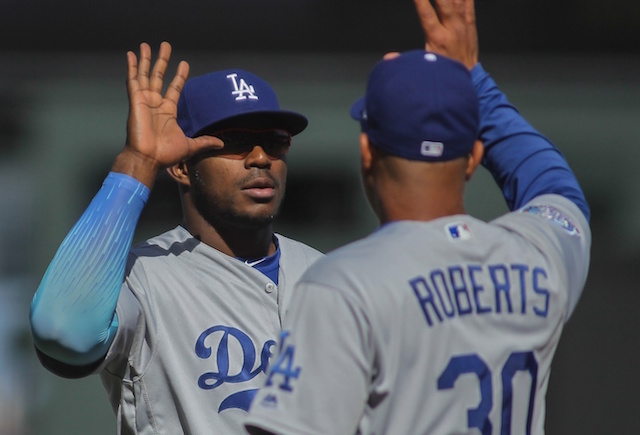 General manager Farhan Zaidi acknowledged the Dodgers weren’t left with much of a sample size to evaluate Puig after he came off the disabled list. However, Zaidi offered the caveat that the team has detailed information on Puig’s time at Camelback Ranch. “Ultimately, it was a game and a half of Major-League time,” Zaidi said. Limited to 79 games this season, Puig hit .255/.322/.436 with 11 home runs and 38 RBIs. He did perform well enough to post a .328 wOBA and 111 wRC+ — slightly above league average in both categories. 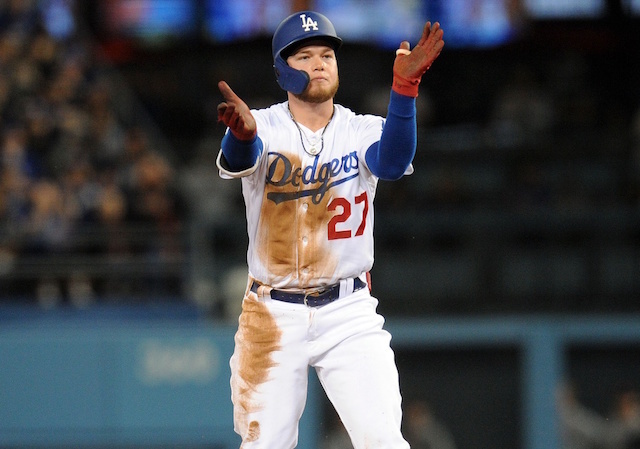 Assuming the 24-year-old dynamic outfielder doesn’t suffer a setback in Wednesday’s workout or Thursday’s batting practice, he presumably will be one of the 25 players the Dodgers carry on their NLDS roster as his health would have met Zaidi’s assertion. “He’s 100 percent from what we saw in Arizona and not having any issues or complications here,” the general manager said.